Another Aussie novel looks set to become a profile US drama. 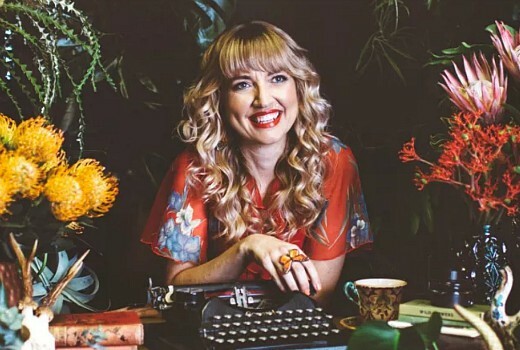 Bruna Papandrea (Big Little Lies) has acquired the rights to The Lost Flowers of Alice Hart, the debut novel from writer Holly Ringland (pictured), through her production company Made Up Stories. The HarperCollins novel, published in March, centres on a young girl whose violent childhood casts a dark shadow over her adult life. After a family tragedy, 9-year-old Alice Hart is taken in by her estranged grandmother, a flower farmer who raises Alice on the language of Australian native flowers, a way to say the things that are too hard to speak. The book has been described as an “Australian masterpiece” and is the best-selling debut novel of 2018. “Holly has created a distinctive and powerful novel that is a compelling tale of female resilience,” Papandrea said. “This story is told with authenticity, courage and love and we are thrilled to be bringing it to the screen. Papandrea will produce the series alongside Jodi Matterson, Casey Haver and Steve Hutensky for Made Up Stories. A broadcaster is not yet announced. Nice so that means three books for Bruna Papandrea, The Lost Flowers of Alice Hart, Big Little Lies and the writer of BLL (Liane Moriarty) next book Nine Perfect Strangers, while CBS are turning Liane Moriarty’s The Husband’s Secret into a film with Blake Lively in.